Sol Picciotto is emeritus professor of Lancaster University and has been Scientific Director of the IISL 2009-11. He went to university in Oxford and Chicago, has taught at Dar es Salaam (Tanzania), Warwick and Lancaster (UK), and been a visiting fellow in Nagoya University and a Jean Monnet Fellow at the European University Institute. He has written widely on theories of state, law and economic regulation, and his most recent book is Regulating Global Corporate Capitalism (2011). 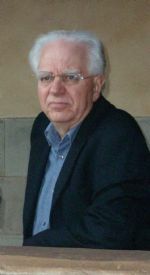 Sol Picciotto ended his term as IISL Scientific Director at the end of the summer 2011. In the course of his mandate, he has worked admirably, along with the whole IISL staff and the number of teaching and/or visiting scholars. He improved the organization of the Institute, promoted the WCSL web, organised a remarkable conference on socio-legal economic issues, contributed to increase IISL international relations by attracting, in particular, Latin American scholars and students. He has now returned to his university in Lancaster, UK. Thank you, Sol.